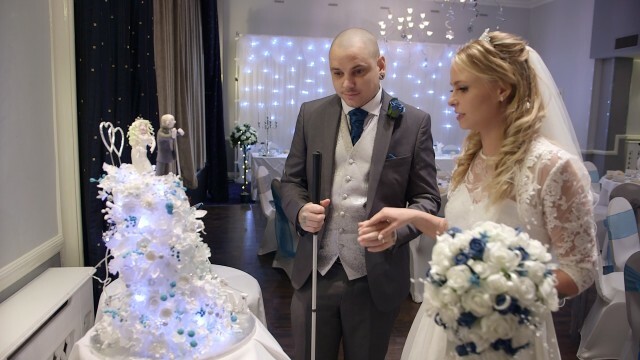 Sam had recently gone blind and has never seen his son with his new wife Amber. 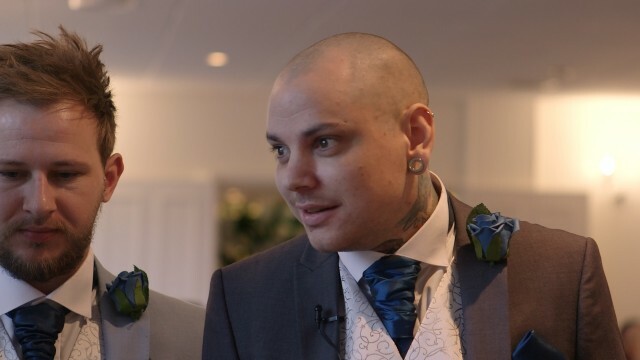 So when we saw that they were fundraising for their wedding in November on Facebook, we had no hesitation in offering our services for free so Sam would be able to hear his wedding day. 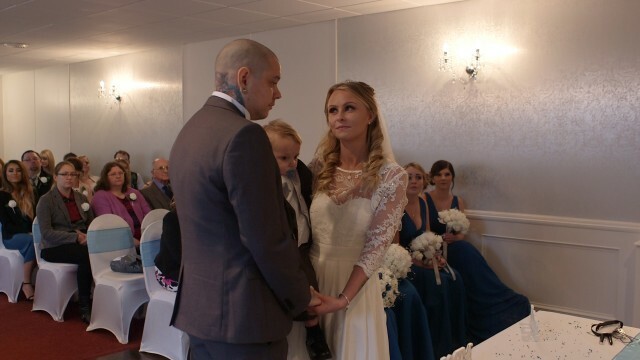 Our friend at JJJ photography also offered his services so Amber could have photos of their special day. 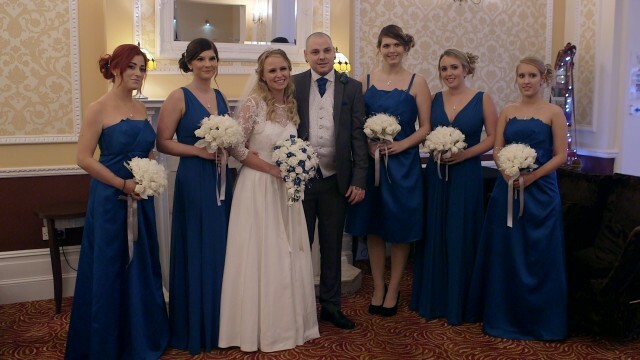 So, the wedding day came, and they had their special day at Westcliffe Hotel. 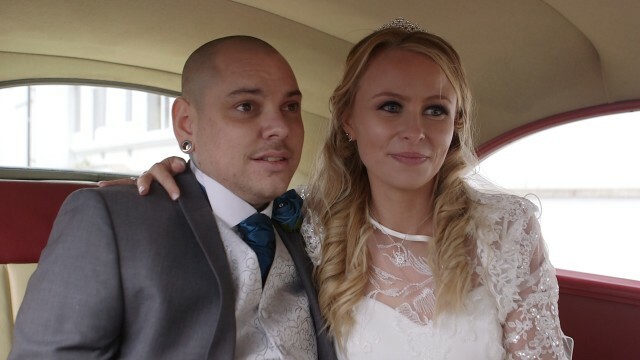 The ceremony was very moving and it was clear to all how much this couple were in love..
After signing the register, and walking back down the aisle to 'a thousand years' we took the couple outside very briefly for a few photos as the wind was very stong! 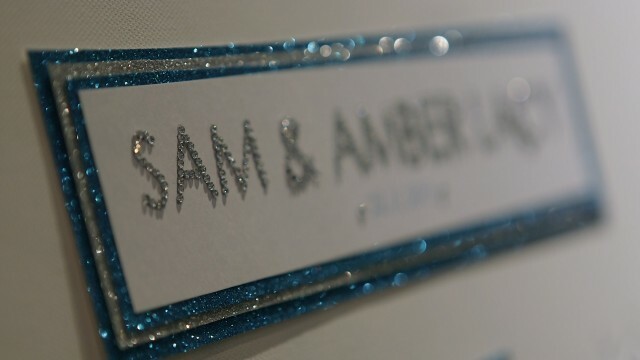 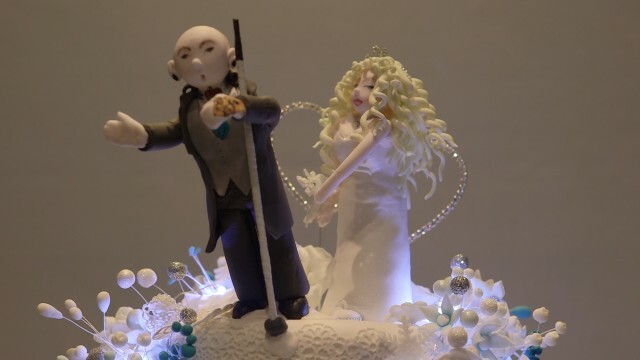 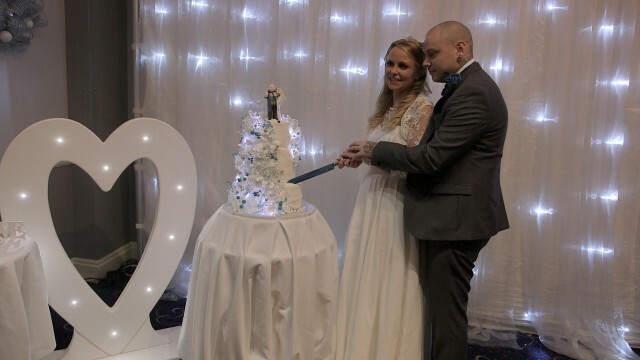 After the photos and before the speeches, Amber took Sam to their reception room and detailed how the room looked....The couple then cut into their amazing cake which was 'lit up' and looked great!! 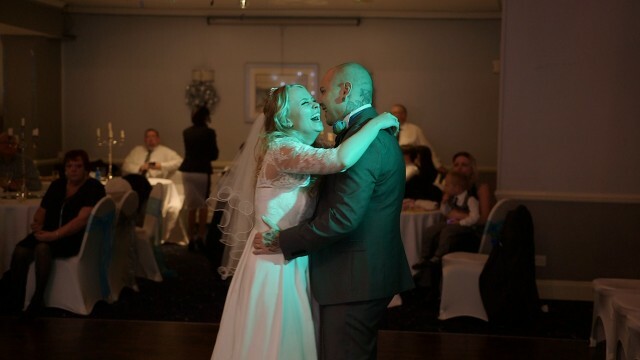 Sam & Amber then began their evening celebrations with their first dance to Ed Sheerans Tenerife Sea. 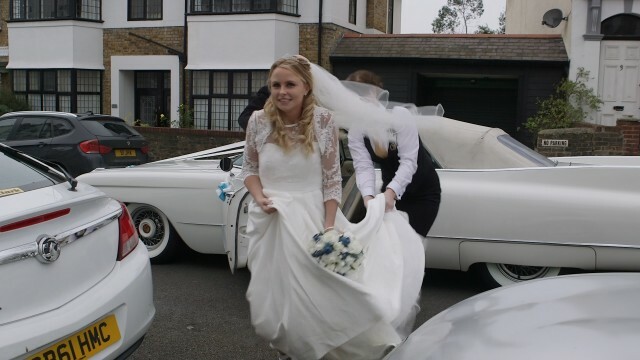 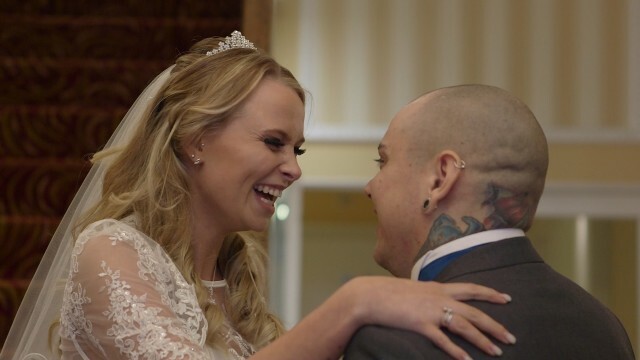 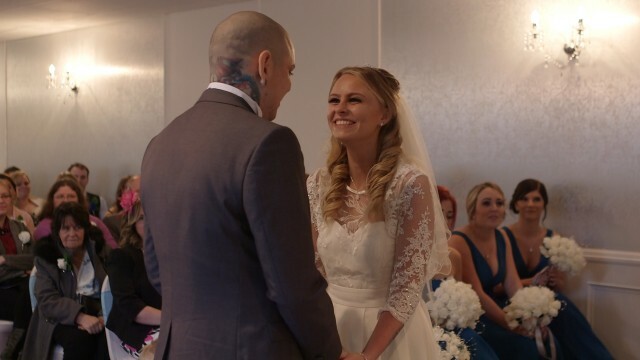 As their wedding videographer, we hope we have captured their special day in a way that Amber will enjoy watching and Sam wiill enjoy hearing, so together, they both can relive their wedding day.